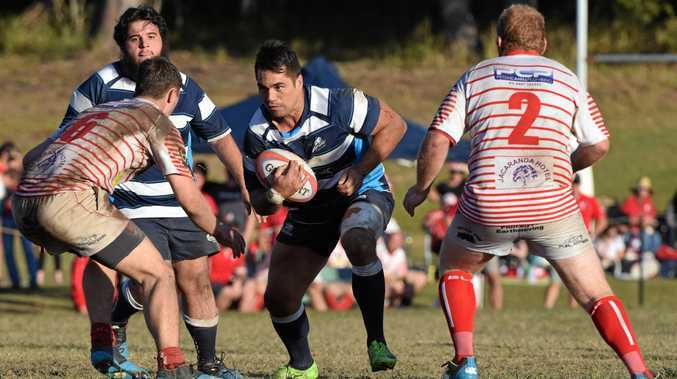 RUGBY UNION: After a ground-breaking first premiership in 2017, the Southern Cross University Marlins weren't able to get the ball rolling on a successful title defence last season. It's the lessons learned from 2018 that are driving the club forward, according to coach Dwayne Vignes. "This year is about building on the depth that we already have,” Vignes said. In a major coup for the Marlins, AJ Gilbert will co-coach the side, with the former NSW Waratahs and Queensland Reds player to also pull on a jersey. "He's going to attract a lot of other players to the club for us,” Vignes said. "We're not sure where he'll play yet, he can slot in anywhere so we'll just work out what's best for the team. Along with Gilbert, Greg Wilson and Peter McCormack will be assistant coaches. Vignes said the loss of the Grafton Redmen and Wauchope Thunder, leaving the first-grade competition with just five teams, would make every week a tough game. "It's a shame we've lost two clubs but now it's better for the clubs remaining, it means the whole club can play their games at the same ground every week and travel together,” he said. premium_icon Will the next generation care about Anzac Day? News IT was a morning to remember with locals and visitors gathering to pay their respects during Anzac Day dawn services. News Ceremonies honour sacrifices made at war. See times and locations.